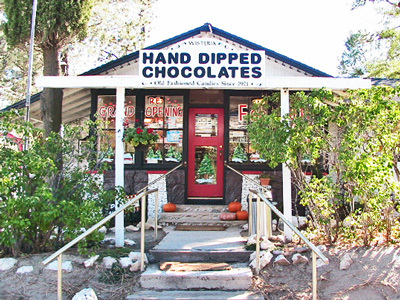 Located in the rural town of Boulevard, CA, The Wisteria Candy Cottage, has been hand-dipping chocolate since 1921. The store, which once served as Boulevard's one-room schoolhouse, has been a landmark in the East County community for 90 years. Almost everything is handmade the same way it's been done at the Candy Cottage since the beginning. Our famous turtles, Brittle, Fudge, Truffles and many other goodies are all available from this web site. We send chocolates all over the country in our special ice packet packaging and have been serving travelers that come by our store for decades. 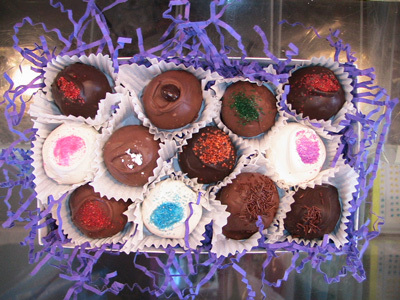 Give us a call and we'll send our famous candy and chocolates to you or anyone on your gift list! We're located at 39961 Old Highway 80. Just take the Campo exit off Highway 8. Click the "see more" link below! Open 10 - 5. Closed Tuesday and Wednesday.